An MSP has warned of the film industry’s worries over the impact of Brexit. 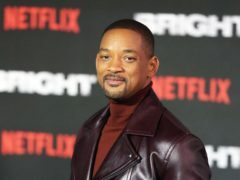 Will Smith has offered glimpse on to the set of Bad Boys 3 after posting a first look photo of him and co-star Martin Lawrence. 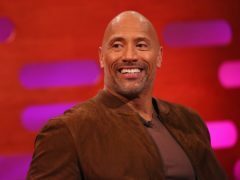 Parts of a city centre are to be closed later this month for filming of a big budget US movie which could bring Hollywood stars such as Dwayne Johnson to Glasgow. One of the original protesters who stormed a men’s only Aberdeen pub has told of her delight at finding out the story was being told on the silver screen. Donald Trump and Vladimir Putin’s summit in Helsinki may have seemed like a scene from a bad 1980s film to some, but what if the US president actually featured in a film? Fancy an evening at the cinema seeing the latest blockbuster? 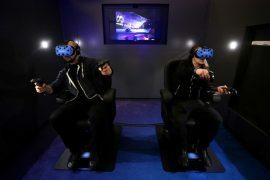 Imax has opened its first virtual reality experience centre in the UK, where it hopes to draw younger audiences to the cinema in greater numbers. Film buffs have the chance to grab their own slice of cinema history after a home that starred in the hit remake of Whisky Galore was put up for sale. Adapted from Dav Pilkey’s series of colourful children’s books, David Soren’s energetic computer-animated adventure is like a pair of oft-worn Y-fronts: saggy and frayed in places but structurally sound. The “terrifying” first trailer for the remake of Stephen King’s IT has drawn comparisons to Netflix’s Stranger Things while dividing fans over whether they will watch it. Mankind tumbles several links down the food chain in Kong: Skull Island, a rollicking 1970s-set action adventure directed by Jordan Vogt-Roberts, which revives one of cinema's iconic monsters. Santa Claus is retiring and handing over the reigns to Rudolph to his daughter. As well as all the award-giving that goes down, the Golden Globe awards are largely about the outfits. Emma Watson and Dan Stevens are starring in one of 2017′s most highly anticipated films, and a new teaser clip from Beauty And The Beast has dropped, whetting our appetites even more. The first trailer for John Wick: Chapter 2 has been released. THE first footage has been released from the big screen version of North-east classic novel Sunset Song. IN THE original Jurassic Park, scientists reanimate dinosaurs on a tropical island and quickly discover their arrogant folly.